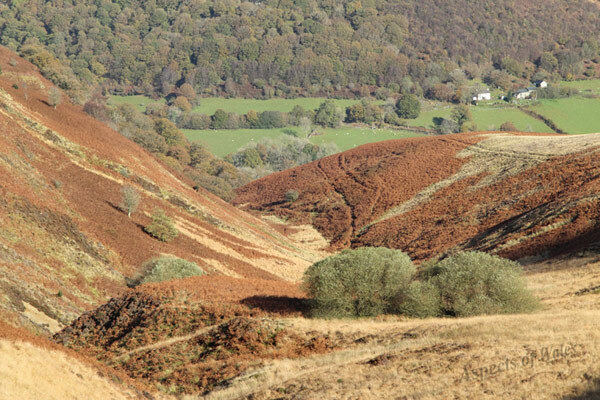 This photo was taken in the afternoon in early November 2012 at NGR SN7442545380, looking down from Mynydd Mallaen towards the Gwenffrwd Valley near Rhandir-Mwyn. Canon EOS 600D, Canon EF-S 17-85mm lens at 85mm, Manfrotto tripod. Exposure F11 at 1/80 sec. Original image in Raw format.